Too Clever By Half: Blogger, forgive us! Here's a great unsung feature of Blogger: Undo. If only it applied all the time. If you need to change a published post, you can edit and update it. If you back up your template before you tinker, you can revert to the backup if need be. Or to any of the default templates at any time. You can revert posts to draft. You can preview. If you delete your blog, you have 90 days to undelete it. As much as Google wants to push you to Google+, it will let you revert back if you do not like things there. The fact that everything is tentative and reversible is a signature feature of Google products generally. It frees you to try stuff, to experiment, to change your mind. It's great. Delete a post and you are out of luck. If you sneeze and delete all the text in your draft post, you can lose the whole thing. Change the permissions on your photos and you might break all the photos in your blog—with no way back. What follows is a catalog of Blogger horrors: innocent actions that can screw up your blog and can't be undone. Blink and your whole post is gone for good. Blogger repeatedly saves unpublished posts as you write them. Great! But if you hit the wrong key you can delete your entire blog post that way. Blog enough and this will happen to you. Is there undo? Version control? A "recycle bin" for your work? Nope, it's gone. Blogger, forgive me! Deleting posts is forever. Again no trash bin to rummage through and undo, though there are some amazing tricks that sometimes work to get deleted posts back. Kiss your blogspot address goodby. It's easy to change your blogspot url, but not to change it back. You must wait until it becomes generally available again and then get it before anyone else does can never ever get it back unto the heat death of the universe. Dear Blogger: If the danged thing is not generally available, why not give prior owners the ability to revert back? Can't you cut us a little slack? Don't change those photo permissions. Bloggers hosts your photos in albums on Picasaweb or Google+ Photos. The default privacy setting is a limited share, where no one can see the photos except through a link (like the one in your blog that displays the photo there). If you switch the setting to private, the photos will become unviewable and replaced by the European "Do Not Enter" symbol. But that's not the problem, because this is the expected behavior of that setting. 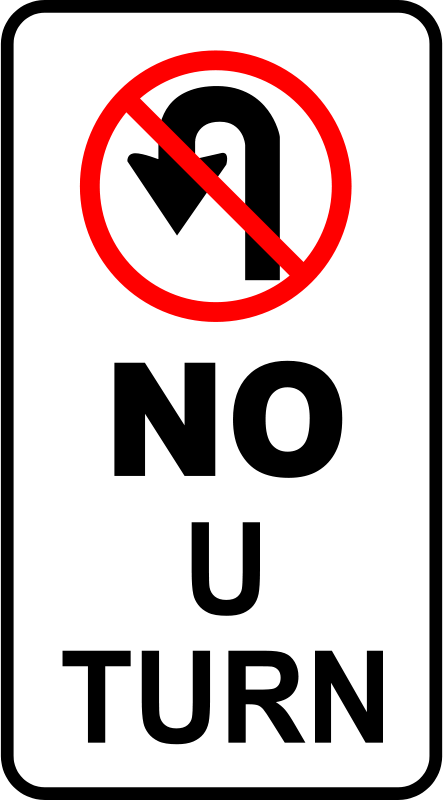 This symbol means the image exists but is not viewable. No, the problem is that you can't set it back. If you try you will get a second copy of the photo with the desired permissions (limited share) but a new web url. The photos in your blog, meanwhile, remain linked to the old, blocked url. If you have hundreds of photos in your blog, boy is your blog broken now. Fortunately, if you then set permissions to public—anyone can see—both copies of your photo will become visible to anyone. So maybe not so bad after all, once you know the secret. But why can't we get the old privacy setting back? Why is it so hard? So unforgiving? So weird? Can't undelete a Blogger comment. Sure, if you erroneously mark a comment as spam, you can un-spam it. But accidentally delete one? Gone forever. Blogger does not forgive. Lose all your photos at the click of a mouse. In much the same way that we can transfer a blog to a different account, Google lets us transfer photo albums. If you are changing accounts you can transfer the photos for your blog and access them without having to sign into the old account. Most of the time, Blogger greets us with the sort of friendly behavior we have come to expect from Google. It doesn't penalize us for innocent errors and it encourages experimentation. Somehow that makes these glimpses of a harsh dark underbelly all the more horrible. Blogger, we are only human! Please cut us a little slack. Okay, we make mistakes. Please, please forgive us! Just reading your post make me anxious. The autosave with no option to go back to an earlier versions is the one that's gotten me. Me too, Peggy! I think if autosave hasn't gotten you yet, you just haven't blogged enough. I prepare all my posts in a private blog. Publish each one after the first sentence is written, and then re-publish again every five minutes or so - my fingers are programmed to do that after working with PCs for 20 (gasp - that's a lot) years. Hate auto-save with a passion. @Mary, that's an interesting workflow. I assume that your use of a draft blog is to avoid pinging followers and subscribers whenever you publish a blank stub. But the hazard of losing between manual saves remains. This is one area in which I think WordPress does Blogger one better. There's an automated background save analogous to that in MS Office, and an "official" manual save. I also do not understand how can not be a trash bin for drafts/posts and comments!!! Thank you, mon! What can I say? Mysterious is the way of the Google. Maybe we'll get a trash bin someday. I am frustrated because I have watched countless YouTube videos and read hundreds of articles and cannot find an answer to my question. I am trying to link my posts to my pages, so they show up on my blog feed and under the page tab when it is clicked on. I have made all of the necessary pages, but when I go to label a post it doesn't show up under the designated page tab. I have gotten it to work once, but never again. What am I doing wrong? @Brittany, it sounds as though your mistake may be that you "made all the necessary pages." The pages you want make themselves automatically as you apply labels. What you need to do is to put those pages into your tabbed navigation-bar gadget. You can do that, and delete the "wrong" links, by editing the gadget. I think you have all the tools and information to figure this out, but if you are stuck you should post specific questions to the Blogger Help Forum (link in the sidebar at right). I discovered a little trick a long while ago that if you accidentally make the mistake of deleting all of the text that you worked hard on, can be brought back by using CTRL+ALT+Z. A good point! That tip (or similar keyboard combinations) sometimes works on some platforms. And there is another option, technically gnarly, involving retrieving the deleted content from your browser's cache. But I really think it would be better, and more Google-like, to have a friendlier versioning system in Blogger, so that you could revert back to the version you erased. Definitely worth trying undo however! "Fortunately, if you then set permissions to public—anyone can see—both copies of your photo will become visible to anyone." I can't find out how to do that. There's no drop-down setting. @Fox This is something that keeps shifting around on Google+, unfortunately. Try finding it on Picasaweb. Same photos, just a different user interface. Select an album and then Actions > Album properties > Visibility. I tried selecting all the photos in my most recently-added album -- that's where my problem was, the last year and a half or so, but not a problem with my older photos and after a little playing around with the settings, IT WORKED! Thanks so much! You've saved me hours of work! If you want to list your blog's posts from oldest to newest, start here. I live in Massachusetts—near some great orchards.